This is a little later than I would have liked to post something in regards to this performance, but has constantly been on my mind. As I’m trying to write more about the experiences I have in performing with some of the finest musicians in the world (literally), I finally get to write about the amazing experience I have performing along side Irish/Folk Singer, Liz Madden. Liz Madden came into Apple Mountain Music last summer, when I was manning the store for Debra Fortess, who had left to visit her family in Washington. Debra is a wonderful friend and mentor of mine and with whom I’ve had the pleasure of becoming apart of her community at Apple Mountain Music. More about the beautiful circle that encompasses Apple Mountain Music, later. Anyway, Liz came in and by chance happenstance, I was there as well. She was just new to the area and wanted to make some connections and start performing around town. As usual, I referred her to some of the best Irish Musicians I know in town and sent her many loving thoughts as she left. Later in the year, I hear she is giving a concert at Apple and I clear out the date so that I can see this lovely person perform her music. Little did I know that I would be taking on a bigger task in a few short weeks. I received an email requesting my musical talent to accompany her. After I agreed, I received my first ever performance packet of music that had no music written at all – just lyric sheets and chord charts. Well, I got to work listening and learning and I got to perform an amazing, well-received concert around my favorite people. A wonderful musical bond was born between Liz, guitarist Chris Nolan, Bodhràn player, Dain Forsythe and Myself. So back to Arts in the Afternoon at the Albuquerque Museum… This 3 hour long concert was given by Liz, Chris and Me. The space reminded me much of the Wednesday noon series from my undergrad days at the Butler Museum of Art. The Marble floors and stone walls provided a very live atmosphere with lots of bouncing points for the sound to travel. The high ceilings made it tougher for people sitting farther away to focus on the music and not the museum noise behind them. This is all part of the experience of performing in this venue, I believe. Watching the workers wheel carts of chairs behind the audience and people leaving to go to the cafe. That was quite a lovely addition to the experience, the cafe provided not only the typical cafe food and drink, but wine and beer for those who wished to imbibe to our folk music! We had plenty of music for our three hour long session but we repeated some of our favorites as some of our favorite people joined us later in the afternoon. We performed a few new pieces that were hits with us (me) and the audience! Count on Me is a happy tune about friendship in which I get to sing along an octave higher than Liz and brings a huge smile to everyone’s face. 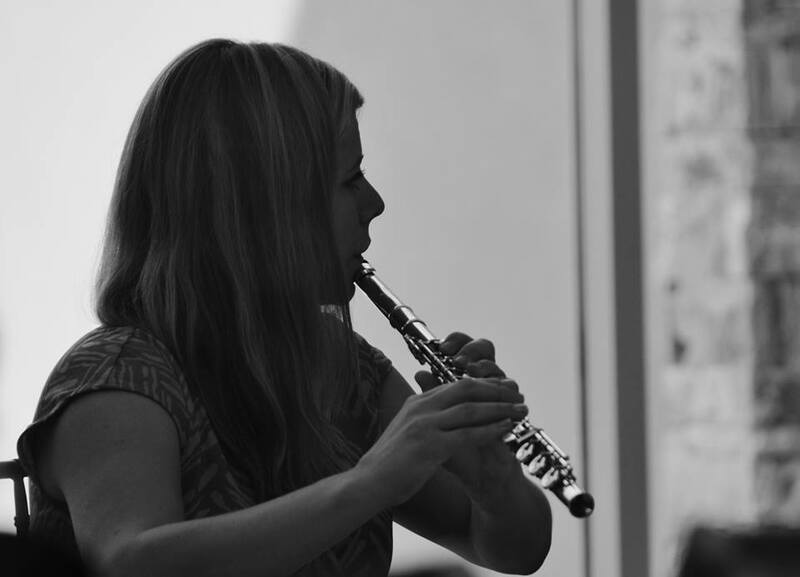 Sea of Glass is a beautiful piece in which I get to play a beautiful line, originally scored for an oboe, on my alto flute. It is so easy to embellish the music with my alto on this piece. We will for sure be bringing these pieces back at the Folk Festival! I did play, what I called, transition pieces for a latin-irish fusion piece: the Piazzolla Tango Etudes No. 4 & 3. 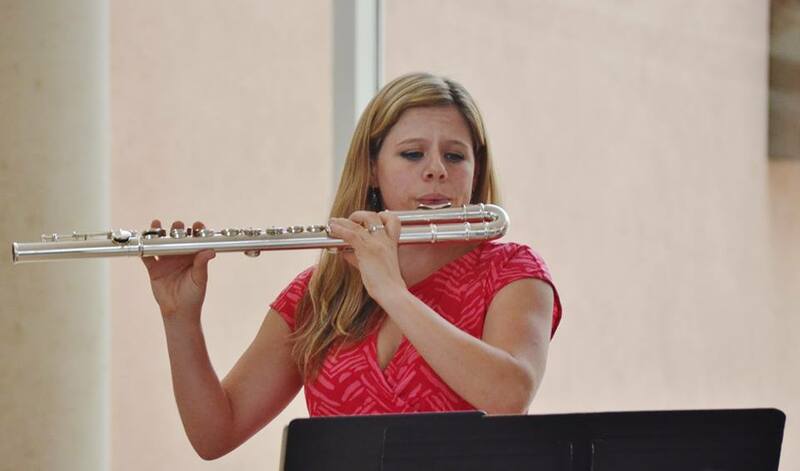 This allowed me to show off the alto flute a bit and give a lead in to our piece I Know My Love. During a break, I had a moment to speak with a gentleman who was a Korean War Vet. My heart immediately swelled as he asked about the beautiful flute I played with the deep tone. He had never seen an alto flute and felt so grateful to have heard its beautiful tone. I told him how happy I was that he had been there and that I could share that gift with him. I thanked him very much for all he had done in his life and it took every bit of my willpower to not cry and hug him. This concert was extremely emotional for me as my life is taking a hard turn. I did almost choke while singing Bring on the Rain with Liz. Especially during ” another day has almost come and gone, I can’t imagine what else could go wrong” considering everything seems to be falling apart around me. Fear not, life will always turn itself back around! Performing with Liz has been one of the best gifts life has given me in quite some time. I’m looking forward to continuing this bond for years to come.